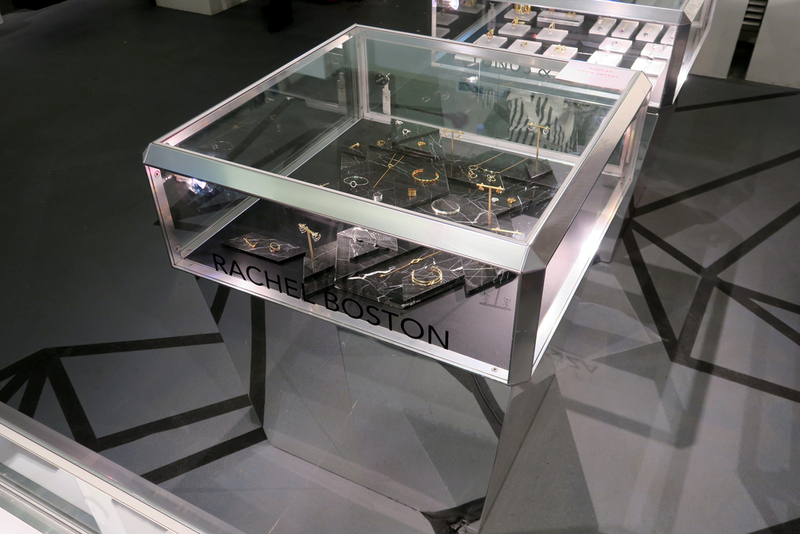 a display series produced for jewellery designer rachel boston. the fully adaptable display consists of geometric tessellating tiles that can be arranged in infinite ways to suit different situations. 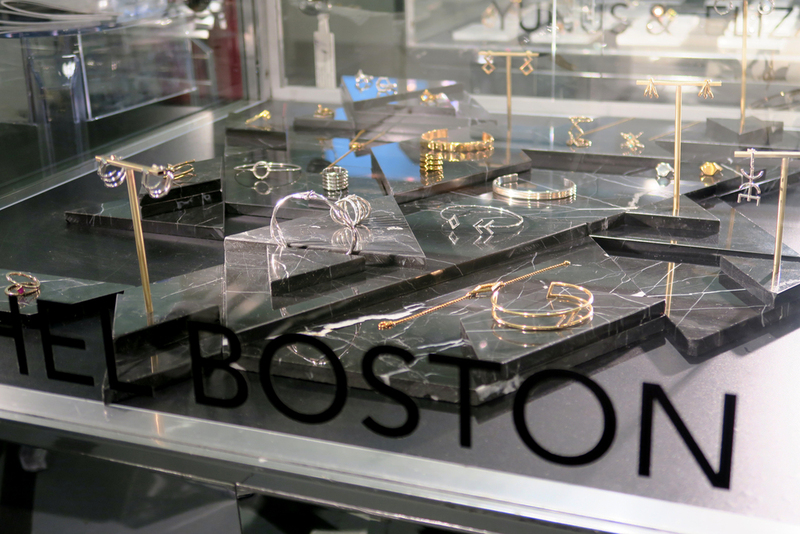 the tiles are made of polished black marble and some feature brass stands to elevate earrings and ear-cuffs.